I am not particularly good with titles for my own writing. Titles should hint but not give anything away. And so when I picked up Andrea Levy‘s 2010 novel, The Long Song, I was totally unprepared for the brutality of slave life on a Jamaican sugar plantation. Song? What song? Why did Levy choose this title? The narrator is July, a former slave who, at her son’s request, is writing her life story. She resists committing her story to paper, but when she does so, she tells the story in the third person. ‘July did this and that’ rather than ‘first I did this and then I did that.’ At first I was a bit disconcerted, but as I read along, I realized that July could only tell her story by “telling it slant” and distancing herself from the reality. Black becomes gray; gray becomes white; pain is just a hangnail. 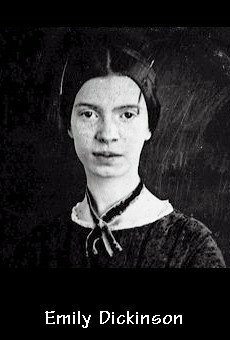 I think of Emily Dickinson (1830-1886): Tell all the Truth but tell it slant… / success in Circuit lies / Too bright for our infirm Delight / The truth’s superb surprise / As lightening to the Children eased / With explanation kind / the Truth must dazzle gradually / Or every man be blind. At the time of July’s writing her memoir, the son is a well-to-do printer and he wants July to pen her life experiences. Having grown up in England with his adoptive family, he knows little of his mother’s life on a Jamaican plantation. Unable to raise the son forcefully fathered by the white overseer, July had left her son on the Baptist minister’s doorstep. When the minister’s family returned to England, they took the baby with them. Good schooling and service as a printer’s apprentice set July’s son on the road to a comfortable life. Years later, the son returns to Jamaica and serving on a jury, he meets July, who is on trial for stealing a chicken. The son and the mother are reunited, and at the son’s insistence, July puts pen to paper. Every few chapters, the son reads July’s work, and he questions the truth of what she has written. Has she told it true? My favorite historical novels are those with a bibliography. Such is the case with The Long Song. Levy did her homework. Aside from daily life on a cane plantation, the story revolves around the Jamaican Slave Rebellion of 1831-32. The rebellion (this one more commonly known as the Baptist War) was precipitated by a drought which resulted in falling revenue and reduced rations for the slaves.. The planters, thinking to get blood out of stone, wanted “more.” Meanwhile, the Baptist ministers were preaching freedom and the churches afforded the slaves of one plantation to mix with the slaves of neighboring plantations. It was a perfect storm. The history is fascinating. Read all about it. http://histclo.com/country/la/jam/hist/jh-rebbw.html is just one of a number of good sites. As for the title, is July’s story a song? It is a song of tenacity. It is a song of survival. It is a song in terms of reconciliation, comedy and contempt. We don’t sing from the same songbook, but we all sing the same life long song. Taking a tip from Andrea Levy, write a piece in which a character tells a story ‘at a slant,’ and is then called upon to revise the story. What circumstances have led to your character telling a half-truth? When the truth is told, how does the story unfold? A variation on this prompt is to have a character write four postcards. One postcard goes to a best friend; one goes to the parents; one goes to the boss; and one goes to the boyfriend/girlfriend at home. This entry was posted in Uncategorized and tagged " The Great Slave Rebellion of 183ist War1-32, "to tell it slant, Andrea Levy, Emily Dickinson, the Jamaican Baptist War, The Long Song. Bookmark the permalink.